Socket Head Cap Screw, Button Head Style, Alloy Steel, Black Oxide Finish, Hex Socket, Thread Size 6-32, Drive Size 5/64 In. 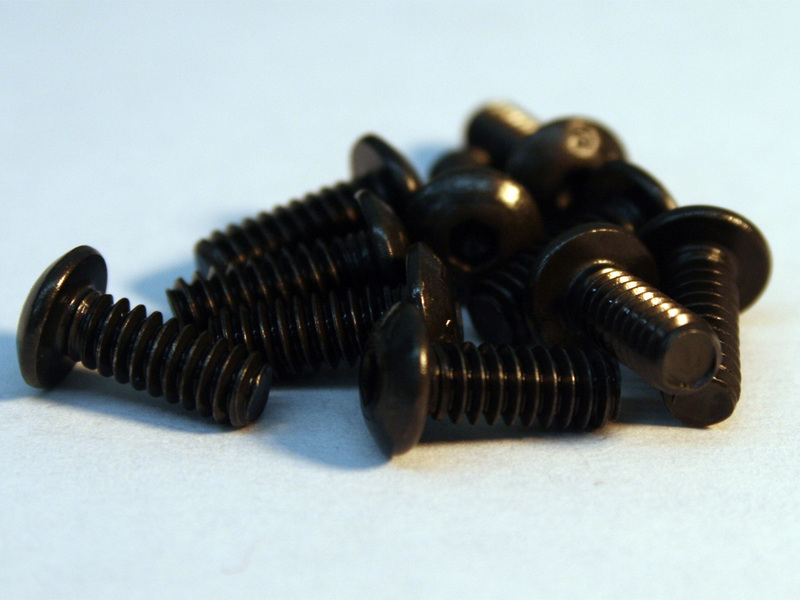 These button head black oxide screws are a slightly longer variation of the .25 inch ones. These black oxide button head screws are a great option to attach thicker panels such as 1/4inch acrylic panels or any other area where you may need the extra length. They are relatively flat - giving the case a different more uniform look.